Three biaxial long baseline tiltmeters have been installed around the Puget Lowlands of Washington State to monitor surface tilts associated with the dynamics of slow subduction earthquakes in a collaborative project between Central Washington University and University of Colorado. The PI's are Tim Melbourne and Meghan Miller (CWU) and Roger Bilham (CU). The Project Managing Geologist is Rex Flake, L.G. What is a Michelson tiltmeter? Slow earthquakes (ETS) in the Cascadia Subduction Zone of Washington State are accompanied and sometimes preceded increments of surface tilt. These tilts are so small they can only be detected by special instruments, such as a very long baseline tiltmeter (VLBT). With National Science Foundation funding, we haved installed three 1 Km-long, level, buried pipes containing water whose depth at each end is measured to one millionth of an inch. To completely measure the plane of tilt two pipes are installed at right-angles, usually along existing semi-flat ground. A sealed 6" PVC pipe is buried at a depth 3-6 feet and half-filled with water. 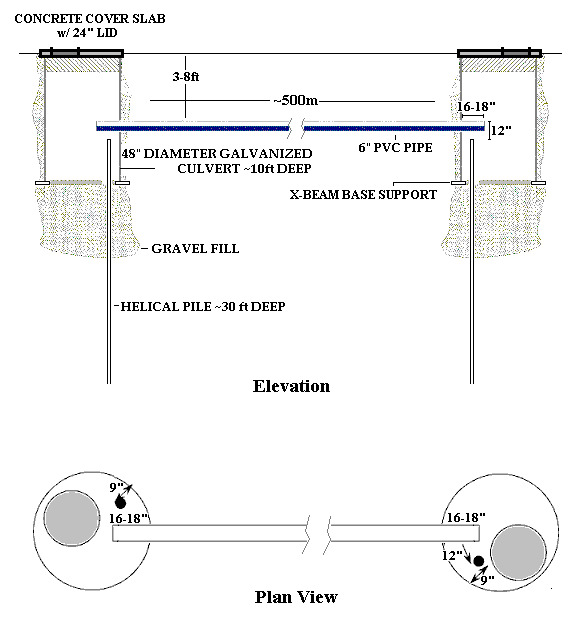 Tilts of the ground are measured relative to the horizontal watersurface in the pvc pipe. 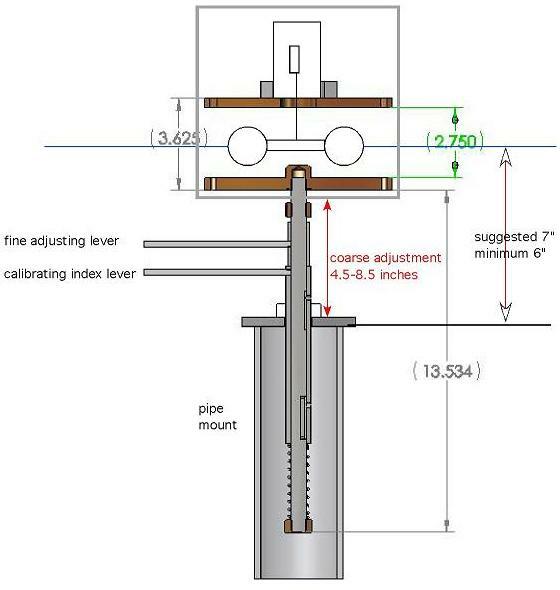 To reduce sensitivity to ground motions caused by rainfall and snow loads the sensors	are attached to solid steel piers driven to submission 30 feet underground. A linear differential transducer (LVDT) attached to the float affords 16 SPS of the water elevation. This analog signal is digitized with a 100mV DGH module and tramitted via cell-frequency modem to a base station that logs averaged data every minute.